When you’re scared of heights, when hiking a new trail in places like the Columbia River Gorge, you never know when you might reach a spot that will force you to turn around. I always cross this bridge to look at the waterfall on the other side, but it’s a white-knuckled crossing every time. There are little slots in the bridge that let the rain through, important in an area that gets as much rain as the Gorge, but it also lets you see the water rushing underneath. The first time I forced myself to take pictures from the bridge itself I was so nervous I forgot to focus or set the exposure, but this latest visit I not only took photos but videos as well. My heart was pounding and I gripped the railing tightly, but I took them. Properly focused and exposed, even. 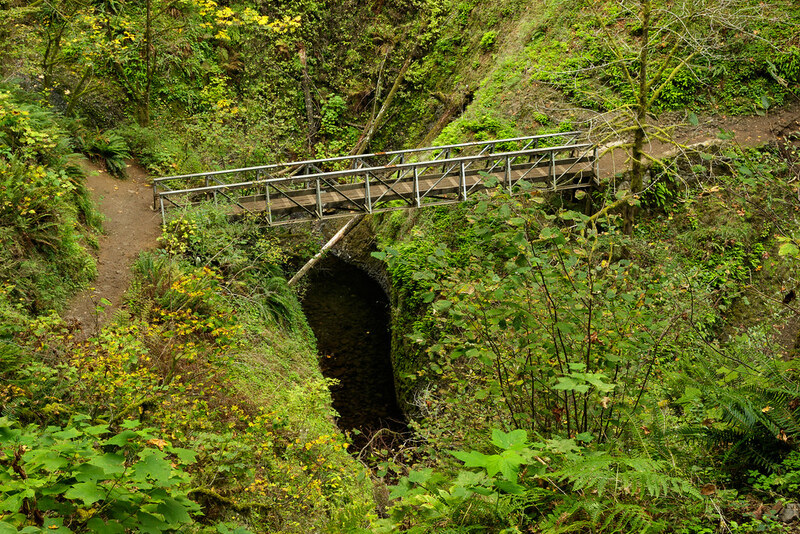 This entry was posted in Scenic and tagged bridge, Columbia River Gorge, Oregon. Bookmark the permalink.